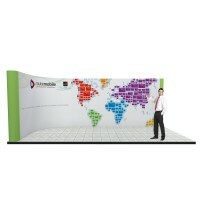 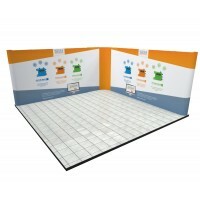 This impressive 3 x 3 corner exhibition display kit is a flexible and versatile stand combining two straight pop ups linked by a ghost panel, to perfectly fit into a 3m x 3m booth. 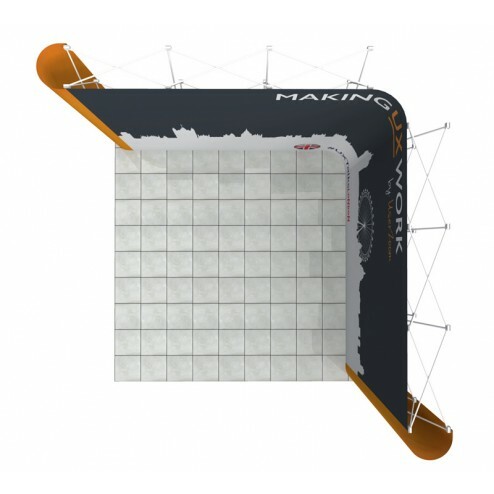 Providing a large open space for furniture, literature racks, product demonstrations and visitors, the impressive corner stand is quick and easy to assemble and break down, making it a popular choice for events, trade shows and exhibitions. 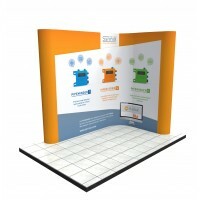 Sturdy and stable, the free standing display stand comprises a high quality anodised aluminium frame, which is easy to put up and fix in place with magnetic locking arms – no tools or expertise required. 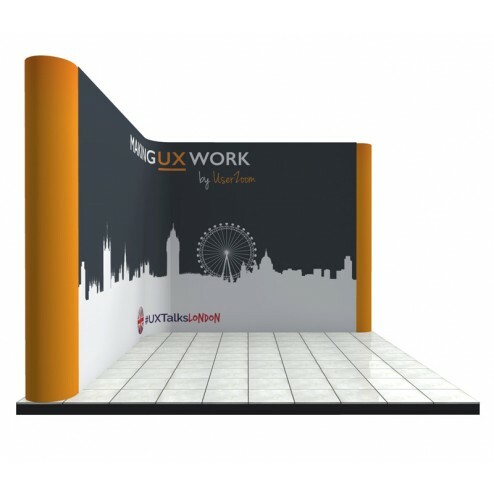 When the frame is in position simply attach the bespoke graphics panels to each frame and fit the ghost panel in the middle, to create one seamless backdrop for your professional looking stand space. 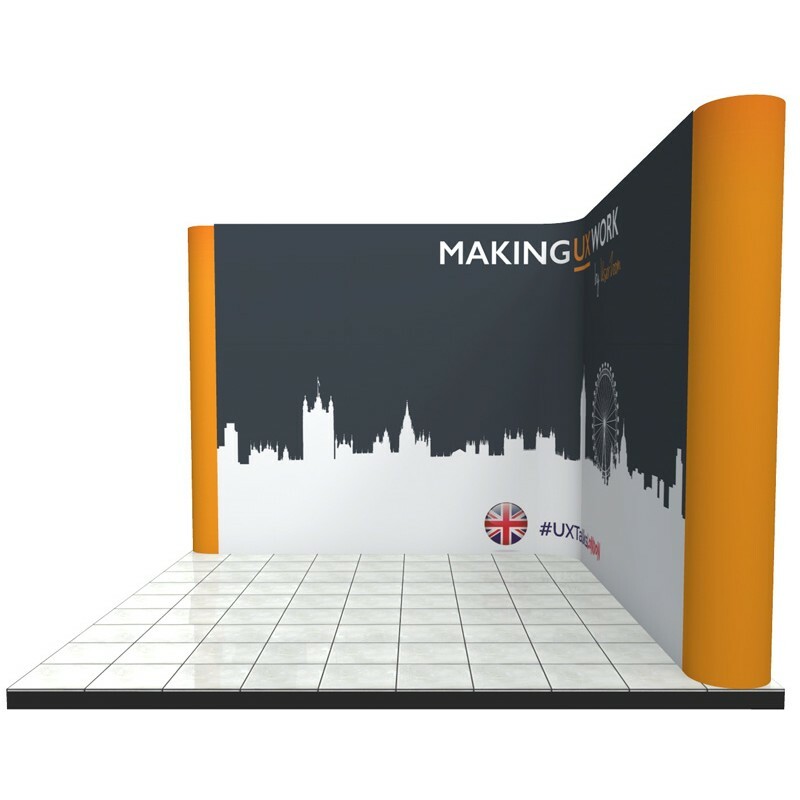 To customise your stand, we will include full colour in-house printing on a single side of the panels, using high quality materials, including HP inks and laminated glare resistant graphics panels. 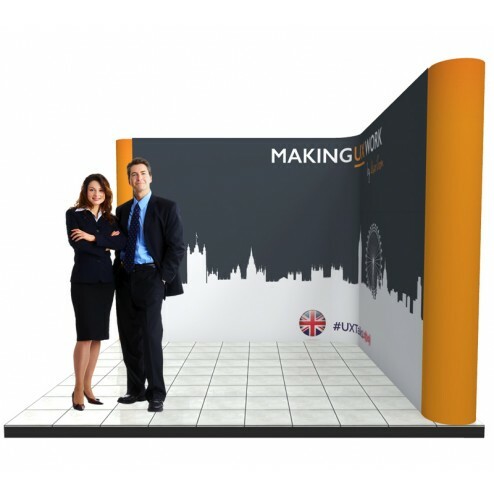 Your bespoke stand will feature crisp, clear text, vibrant colours and sharp images, for a high impact finish to your tailor-made backdrop. Folding down to a fraction of their original size in minutes, the two stands are each supplied with a tough, durable case to protect your stand during transportation and allow for compact, tidy storage. 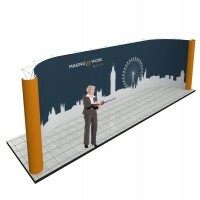 The free standing design ensure you can use this versatile stand wherever you need an attractive and colourful business backdrop, and the two stand frames can be used separately as well as together, making this a truly versatile package.